One the one hand, you have the rigidity of statutes adopted in such states as New York and Delaware. These statutes rely on the ability of a Court to compel a dissolution of a business, notwithstanding that it may be operating profitable, when the majority abuses the minority. The other approach is exemplified by the Revised Uniform Limited Liability Company Act, drafted initially by the Uniform Law Commission and presently adopted in some 16 states. The RULLC (now on its second set of amendments) provides courts with a variety of tools to unravel the personal and business relationships among the owners of a closely held enterprise, most significantly the ability to expel equity owners and compel the purchase and share of individual interests. Relief for the oppression of minorities in the context of a closely held business was initially a judge-made concept. In 1976, the Supreme Judicial Court of Massachusetts decided two cases, Donahue v. Rodd Electrotype Co. and Wilkes v. Springside Nursing Home, Inc., in which it held that the owners of a close corporation owed each other fiduciary duties and that the failure to meet the reasonable expectations of the owners – in the Wilkes case, ongoing employment – was oppressive conduct. Wilkes, in particular, was the common law foundation for the development of the case law of shareholder oppression. Shareholder Oppression was the term developed to describe a series of wrongful behavior, including a freeze-out, a squeeze out, misappropriation of a corporate opportunity, theft and fraud, and waste of corporate assets. New York’s Court of Appeals in 1963 recognized a common-law action for judicial dissolution in Liebert v. Clapp when the majority had “palpably breached” its fiduciary duties to the minority shareholders. This conduct, the court held, disqualified the majority from exercising their exclusive jurisdiction to dissolve the corporation. Section 1104-a provides a court with discretion over whether to order a judicial dissolution, based on a number of factors. Thus, the mere fact that the majority is acting oppressively to the minority does not assure the minority a remedy. Section 1104-a, however, is supplemented by Business Corporations Law § 1118, which provides that the majority shareholders can elect to purchase the shares of a § 1104-a petitioning shareholder for fair value as of the date immediately prior to the filing of the petition. New York shareholders who meet the statutory minimum 20 percent have a relatively complete remedy, in that they can petition for dissolution and, as a practical matter, if they sue the majority of a successful corporation, they are likely to receive an offer to buy out their interest for fair value. New York’s corporation’s code has some sizable holes in it for the oppressed minority. The 20 percent equity threshold is significant, and the standard for common-law dissolution is formidable. What New York’s minority oppression statutory framework lacks is the statutory discretion of a court to order the sale of the shares of the shareholders. It is the most often the threat of dissolution, rather than the express authority to force a sale, that motivates the resolution of the case. New York trial courts that find oppressive conduct are instructed to determine whether some remedy short of dissolution is superior (See In re Kemp & Beatley, Inc.) and have broad discretion to fashion a remedy. Other statutory schemes are not limited to oppressive conduct, and do not have a 20 percent threshold for an action for oppressive conduct. 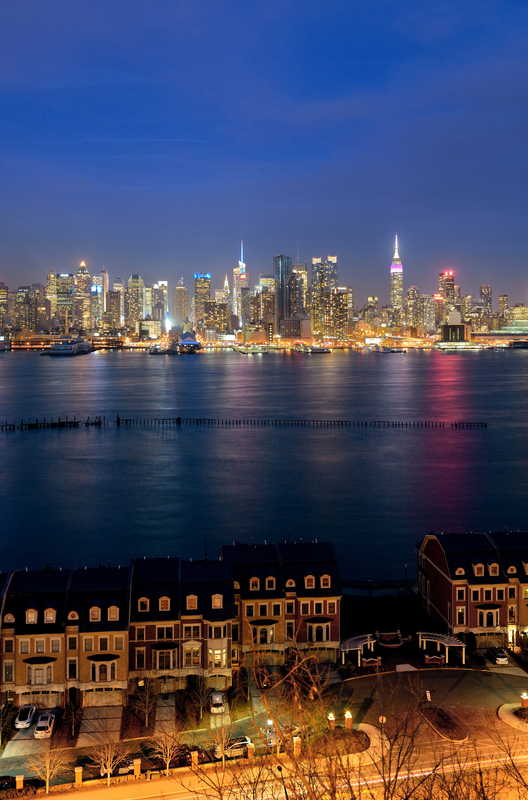 Across the Hudson, for example, the New Jersey Business Corporations Act provides an extraordinarily flexible remedy. The statute permits involuntary judicial dissolution under N.J.S.A. § 14A:12-7 for acts fraud, illegal conduct, mismanagement, abuse of authority or unfair or oppressive conduct to the minority. It also gives the court express authority to appoint provisional directors to break deadlocks or custodians when warranted. Upon motion of the corporation or any shareholder who is a party to the proceeding, the court may order the sale of all shares of the corporation’s stock held by any other shareholder who is a party to the proceeding to either the corporation or the moving shareholder or shareholders, whichever is specified in the motion, if the court determines in its discretion that such an order would be fair and equitable to all parties under all of the circumstances of the case. Limited liability companies are creatures of contract, however. In the absence of some specific contractual provision that creates minority rights and a minority cause of action, the remedies of an oppressed member may be limited. Dissolution is drastic remedy, and one that a court is understandably loathe to order. Other states, however, provide for a remedy other than dissolution. 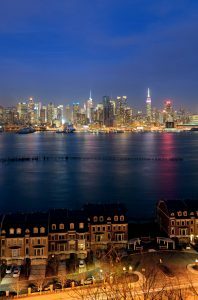 The Revised Uniform Limited Liability Company Act (RULLCA), adopted in a number of states including New Jersey, permits two remedies not found in New York or other jurisdictions. First, a court can expel a member, called involuntary dissociation, or it can order the sale of any member’s interest to any other member. Here again, the operative standards are misconduct, oppression or “not reasonable practicable” to continue operating the entity, or operating the entity with a problematic member. While a recent decision of the New Jersey Supreme Court construed “not reasonably practicable” to mean not feasible. New Jersey courts, however, have broader remedies. Dissociation removes a member from management, but in itself does not require a sale of the member’s interest. Rather the dissociated member retains their financial interest to receive distributions when made. The RULLCA permits the court to order the expelled member to sell the interest if it would be “fair and equitable to all parties under all of the circumstances of the case.” N.J.S.A. § 42:2C-47. … order the sale of all interests held by a member who is a party to the proceeding to either the limited liability company or any other member who is a party to the proceeding, if the court determines in its discretion that such an order would be fair and equitable to all parties under all of the circumstances of the case. As a practical matter, the preparation of organization documents should consider the specific statutory and common-law environment likely to apply to a dispute. No one gets married with a plan to divorce, and people don’t start businesses with failure in mind. But the fact is that every owner must face the fact that, if they are successful, eventually the people who own the business will have to disentangle themselves financially. The need may be a dispute, or it could be a retirement, death or disability. When drafting, or when contemplating a dispute, the parties need to consider the forum in which the dispute will be heard and just what rules will apply. The outcome of the same type of dispute in different states is likely to be quite different.